I first read Carol Goodman years ago when I picked up The Death Orchid after hearing from someone that it would appease my never-ending hunger for all things Gothic. It did, and I loved her writing style. I haven’t read all her books but those I have read never disappoint. 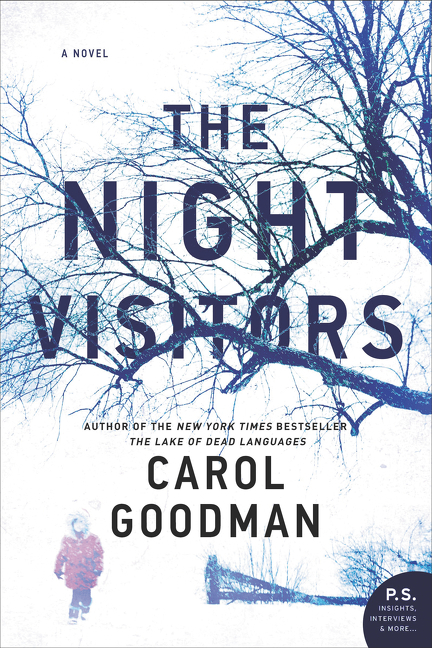 The Night Visitors is very atmospheric, but is lacking a little when it comes to inspiration for a food based blog. So I’m hoping you will forgive my lack of original recipes and just be excited about how fun this book is! Now on to the food! At one point in the story the characters are preparing for a big winter storm and what goes better with a storm then a nice slow cooker Chili?!?! Then in the morning when you wake up and find yourself snowed in you can make the other great recipe from the book, Pancakes, and I think this recipe is just the ticket! I know pancakes and chili aren’t new or exciting, but I promise you this book is! If you enjoy the book drop me a line and let me know.